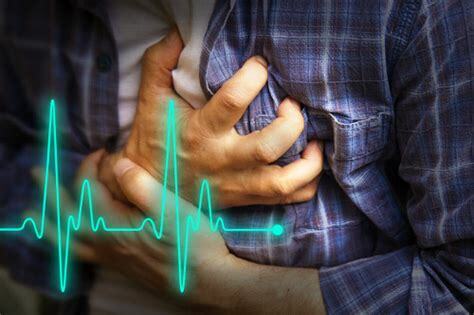 What Causes of Heart Palpitations at Night and How to Stop it? Have you ever been shocked out of your dreams by a pounding heart? Heart palpitations at night can be a pretty scary experience, leaving you with a heightened or abnormal awareness of your heart’s rhythm. There’s nothing dreamy about a rapid heartbeat at night. Thankfully, heart palpitations aren’t always a direct result of a major cardiac condition. Just because your heart may momentarily speed up, skip a beat, or flutter, doesn’t mean that you’ve just suffered a heart attack or that one is imminent. But that doesn’t make heart palpitations at night, when lying down, any less concerning. You still may have a lot of questions about what’s happening and why. Some 16% of heart palpitations have no recognizable cause. They could easily be a result of a stressful situation you’re dealing with or the fact that you had an alcoholic beverage not long before bed. Heart palpitations can also be caused by medications or supplements you’re taking. Only sometimes will a heart palpitation indicate a regular problem with arrhythmia (irregular heartbeat) that needs treatment. In fact, most people with regular arrhythmias caused by conditions like tachycardia, arterial fibrillation and more, report palpitations at a relatively low rate. How to Stop Palpitations at Night? This condition causes your heart to beat very quickly and erratically. It originates above the ventricles—the lower chambers of the heart—and can induce symptoms like a racing pulse and dizziness. The most common type of arrhythmia, it can cause a rapid and erratic heartbeat that has the potential to interfere with blood flow to the ventricles. It can lead to a stroke, and may show no symptoms. In some cases, symptoms like chest pain, palpitations, and shortness of breath can appear. This type is a rapid heartbeat that originates in the ventricles. In cases associated with structural heart disease, it may cause a loss of consciousness, cardiac arrest, or sudden death. If you have existing heart troubles or have never experienced heart palpitations before, it’s important to see a doctor to determine the cause. It’s important to remember that most of the heart palpitations people experience are not related to existing heart conditions. Palpitations will usually go away on their own and are frequently harmless. There are a number of potential contributing factors, and being aware of them may show you how to stop palpitations at night. It’s also possible to experience heart palpitations after eating a big meal heavy in carbohydrates, sugar, or fat. To limit the risk, eat slowly, reduce portion size, and limit intake of processed and fried foods. Almost all of the above factors contributing to heart palpitations are controllable. Try experimenting with any factors that apply to you and note any changes or improvements. Heart palpitations at night—particularly if they disrupt sleep—can be slightly more alarming. There is an added a shock factor if you’ve just been jolted awake. The first piece of advice for dealing with a heart palpitation is to call your doctor if you’ve never experienced one before. The next is to pay attention to any other symptoms. If there are none, take a deep breath, relax, and see if your heart beat returns to normal. Cut back on caffeine or give it up outright. Try to stick to three cups of coffee per day, none of them after about 2:00 p.m. or 3:00 p.m. in the afternoon. Lower alcohol intake, especially in the evening. If you can completely give it up, try that. Try to eat something every three to four hours to prevent blood sugar from getting too low. Healthy snacks like veggies, nuts, fruit and lean proteins are recommended. Stay adequately hydrated by sipping water throughout the day. Have your doctor or pharmacist check your medications or supplements to make sure ingredients don’t increase the risk for palpitations. Some common decongestant products contain palpitation-encouraging ingredients like pseudoephedrine or phenylephrine. Find ways to limit stress. Helpful methods include better nutrition, exercise, meditation, deep breathing, mindfulness, yoga or tai chi. Valsalva maneuver: Plug your nose with the fingers on one hand, and then close your mouth and try to push forcibly exhale through the nose. You’re feeling more than six extra heartbeats per minute and coming in groups of three or more. If you don’t suffer from preexisting heart conditions, the heart palpitations that electrified you awake at night are unlikely to be a major sign of distress. But if they’ve been recurring frequently as of late, try making a few lifestyle adjustments. Adding in a little more exercise, consuming more fruits and vegetables, limiting alcohol and caffeine, while finding ways to soften life’s stressors may be all you need to get a good night’s sleep and avoid heart palpitations. Marine, J., “When to Evaluate Heart Palpitations,” John Hopkins Medicine, 2017; https://www.hopkinsmedicine.org/heart_vascular_institute/clinical_services/centers_excellence/womens_cardiovascular_health_center/patient_information/health_topics/when_to_evaluate_heart_palpitations.html, last accessed November 23, 2017.